So, How About Andy Pettitte? Andy Pettitte entered this season as one of the bigger wild cards on a pitching staff filled with them. He was pushing 40 and hadn't pitched in a major-league game in more than a year, but the last time he did pitch — back in 2010 — he had a strong season (when he was healthy, at least). The risk was there, to be sure, but so was the possibility of a nice reward. Last night was all reward. Pettitte was terrific against the Rays last night, throwing seven-and-a-third innings of two-hit shutout ball. He struck out ten batters — the first time he recorded double-digit strikeouts in a Yankees home game since 2003 — and got plenty of run support, thanks in large part to a costly Tampa Bay error and a Russell Martin grand slam. It's not the first time Pettitte's impressed this year: You'll recall that in his second start of the year, he threw eight shutout innings against the Reds. But the more strong starts he makes, the more it feels like something he can sustain, even if it's not quite at this level. Pettitte left the game to a standing ovation in the eighth after throwing 103 pitches, a perfectly familiar sight, but one we were not guaranteed to see for a pitcher attempting a comeback like this. 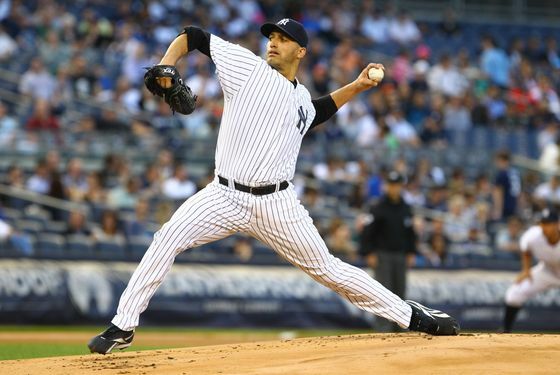 (Pettitte's numbers at Yankee Stadium are especially impressive so far: He's 3-1 with a 1.88 ERA and a WHIP under 1.) All the Yankees could have hoped for was that Pettitte would pitch as well as he did when he retired after the 2010 season. So far, he's been better than that. Of course, it's only June, and while his stamina hasn't been a problem yet, there's a lot of season left. But on a team that isn't as deep with starting pitching as it appeared to be during spring training, the Yankees will be relying on Pettitte. The story of his comeback is a nice one so far, but as the season progresses, Pettitte's season will be less about proving he's still got it. He'll simply be a pitcher taking the ball every fifth day for a team that expects to compete for a playoff berth. (Or at least that's the hope.) Speaking of the playoff picture, for what it's worth on June 6, the Yankees are now just a half-game behind both Tampa Bay and Baltimore, and if things break right, they could be in first place by this time tomorrow.